Indian Hospital: Hillary Clinton Treated for Minor Injury - Integration Through Media ....! 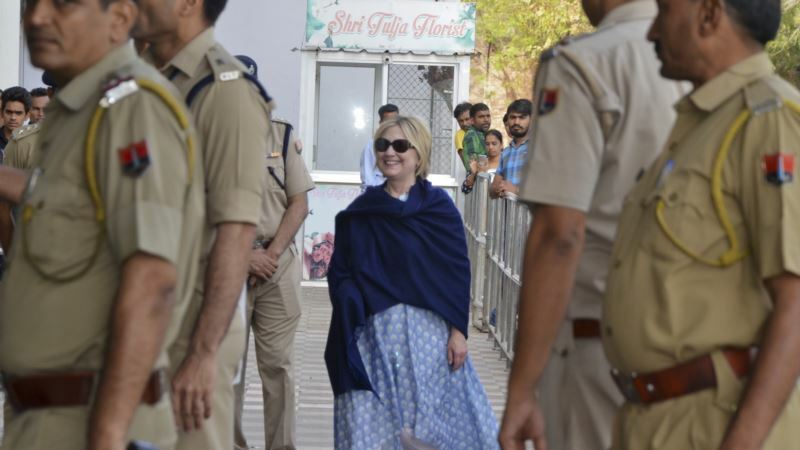 (VOA): The head of an Indian hospital says Hillary Clinton was briefly treated there after suffering a minor injury at her hotel. He declined to say what she was treated for. An employee of Jodhpur's Umaid Bhawan Palace hotel, speaking on condition of anonymity because he was not authorized to speak to the media, says Clinton had stayed there and had sprained her wrist. He said, however, that she was not injured at that hotel.